When policymakers adopt energy codes, they regularly cite impressive statistics regarding reduced energy use and financial savings. Yet all too often, energy codes fail to reach their potential benefits due to a lack of compliance. Energy code compliance refers to whether the building industry meets the requirements of the energy code at both the design and construction phases. Although it is the responsibility of building professionals to comply with energy code provisions, local and state agencies, energy code advocates, and other stakeholder groups share in this responsibility. Architects, designers, and engineers need training, educational materials, and support in order to design buildings that pass plan review. On the job site, developers, builders, contractors, and sub-contractors need training, tools, and technical resources regarding code requirements. They also need specialized training in order to correctly install materials and use equipment. Finally, in addition to providing compliance assistance, government agencies and other stakeholders need to enforce the energy code to ensure that buildings comply. State adoption policy can support compliance by including requirements for data collection and accountability from local jurisdictions. The state can also commit resources to supporting local jurisdictions through education, training, and resources. An adequate fiscal note attached to code policy that provides for this support is essential to a state achieving full impact from code adoption. The deadline for reaching this compliance goal is right around the corner in 2017. Each state is at a different stage in the process, from code adoption to implementation and training, from enforcement activities to tracking results. States that have already achieved their adoption goals are primarily focusing on putting together comprehensive implementation plans to achieve 90 percent compliance. The Department of Energy (DOE), the Pacific Northwest National Laboratory (PNNL), and the Building Codes Assistance Project (BCAP), as well as many other local, regional, and national stakeholder groups, are able to provide advocacy, technical training and tools, educational resources, and other support to states in these efforts. The intent of these briefs is to provide code-related information about Building America’s research, best practices, and new innovations. This page is currently under construction. For a comprehensive list of BCAP's compliance resources, please click here. 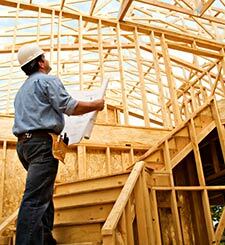 Read news articles on code compliance here.